African sides are as good as any at the World Cup and one could end up winning it in Brazil, Nigerian coach Stephen Keshi said on Sunday ahead of his side's opening group game against outsiders Iran. And if Nigeria were to get that far, against the current odds, expect at least one reporter to be running for cover. "I will love it. I will kiss you all over," the former Nigeria captain turned 'Big Boss' assured a news conference at the Baixada arena, where his players kick off their campaign on Monday. African champions Nigeria are one of five representatives from the continent competing in Brazil - the others are Algeria, Cameroon, Ghana and Ivory Coast - and face a tough task to get through a Group F that also includes Argentina and Bosnia. 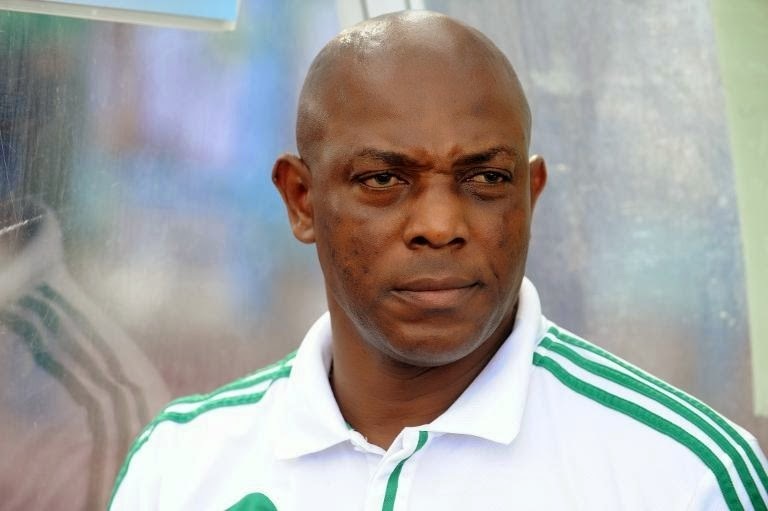 However Keshi said their chances should not be under-estimated. Asked how close he felt Africa was to winning the Cup for the first time, he did not hesitate: "Very close. "Because they (the African sides) are good. As good as any other teams that are here. I think this tournament is an open tournament. We just have to do what we have to do," he continued. Ghana's Black Stars were a penalty shootout away from becoming the first African side to reach the semi-finals at the last World Cup in South Africa in 2010 while Nigeria have twice previously reached the second round. Cameroon made it to the quarter-finals in 1990 and Senegal in 2002. "This team is growing, it's like a baby," Keshi said of his current crop of players, when asked to compare them with his class of World Cup debutants 20 years ago. "This team is just a year and a half-old. The team of 1994 was almost five or six years old. "In 1994, the spirit was very high, we didn't care where the (opposing) team was coming from, we knew we are going to go out there and win the game. Here, we're building that, we try to bring the same spirit. "Once we get the spirit, trust me, it's going to be two times as strong as 1994." One of two African coaches at the finals, the other being Ghana's Kwasi Appiah, Keshi said it was time the continent nurtured home-grown managerial talent. "We haven't been given enough chances or opportunity or time to show what we can do," said the coach, who qualified Togo for the 2006 finals only to be ousted before the tournament. "The biggest problem is that once you do the dirty job of getting the team qualified as an African coach, when you come to the big stage that's when they think that you're not experienced and they need a European coach to come in." When Nigeria competed at the 1994 tournament in the United States, the coach was Dutchman Clemens Westerhof. In 1998, it was the turn of Serbian Bora Milutinovic after Frenchman Philippe Troussier had secured qualification. "I think this is wrong," said Keshi. "A lot of African seasoned coaches that are there and can make Africans proud are not being given opportunities to do so."